A great day to remember the seventies. 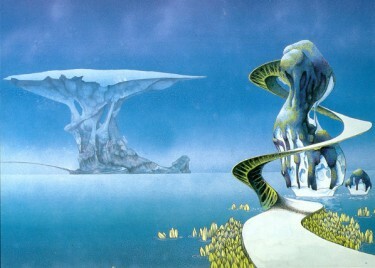 Best known for his work on posters, logos and album covers for musicians, Roger Dean’s images for such bands as Yes, Budgie, Uriah Heep, Gentle Giant and other bands, have become synonymous with early to mid-seventies progressive rock. LimeGong is a Roxinn Arts production. Freaking out in a moonage daydream.